Through a series of 20 practical and effective exercises, all using a unique visual approach, Michael Atavar challenges you to open your mind, shift your perspective and ignite your creativity. Whatever your passion, craft or aims, this book will expertly guide you from bright idea, through the tricky stages of development, to making your concepts a reality. 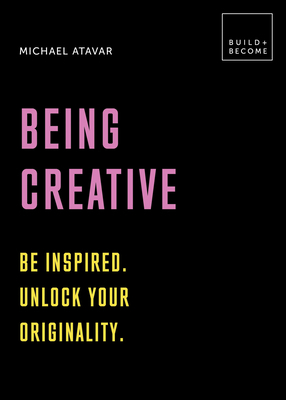 We often treat creativity as if it was something separate from us – in fact it is, as this book demonstrates, incredibly simple: creativity is nothing other than the very core of 'you'. Michael Atavar is an artist and consultant with a practice that mixes creativity, business, art and psychology. He currently works with individuals and businesses, helping to solve professional problems, using creativity as a key. His books include How To Be An Artist, and most recently Better Magic - How To Have Creative Ideas in 24 Steps. Michael has written three other books about creativity covering the areas of process, individual practice, generating ideas and group dynamics.